October 19 – Tickets for the 2019 Women’s World Cup in France go on sale this afternoon on FIFA’s website. The first round of sales will offer ticketing packages starting from €25 allowing fans to watch three matches at one of the stadiums in Grenoble, Le Havre, Montpellier, Nice, Paris, Reims, Rennes and Valenciennes. France 2019 will have more than 1 million tickets on sale for the expanded 24 team competition that will see 52 matches played. The full match schedule will be known on December 8, following the draw in Paris. FIFA said the ticketing offers have been designed so that stadiums can highlight the match stages and number of matches they will host. A total of ten different ticketing packages are on offer so that fans can attend between three and seven matches, depending on which package they purchase. 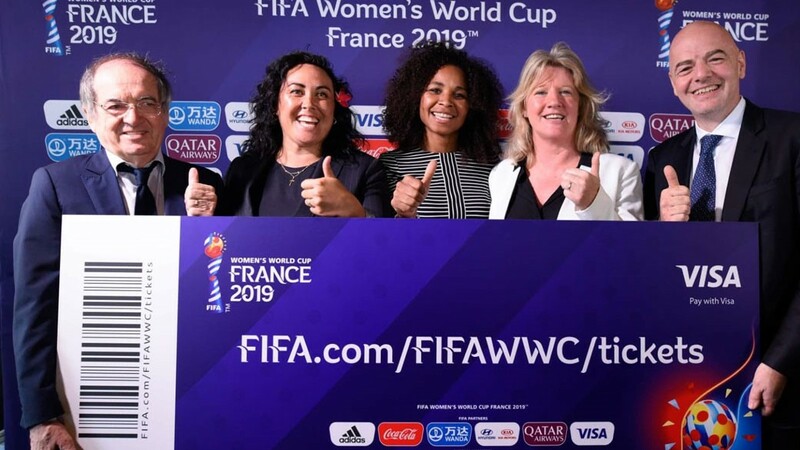 Lyon will host the semi-finals and final of the FIFA Women’s World Cup 2019™ and a special package is available to fans wishing to attend these games, starting at €50. Tickets are available at FIFA.com/FIFAWWC/tickets from 3pm CET today.